I don’t own too much from The Body Shop – but Christmas is coming up so I thought I’d share one of their sets that’d be great as a gift and also smells insane! So in the set you get a shower gel, a body scrub, a body butter, bar of soap and a bath lily. The scent is truly amazing, if you like citrus scents or even mango for that matter, you’ll really enjoy this! It all smells so good. First off the shower gel. Probably not my favourite of the bunch, it kind of makes me feel itchy? Weird I know, but nonetheless its really lovely. It lathers up well and leaves you with that fresh mango scent hanging about for a while. Second up is the body scrub. Now I love a good body scrub and this is no exception. Again the scent is a complete bonus, but its a fine sugar scrub so its not too harsh on the skin, like a salt scrub. It gently exfoliates and my skin feels really soft afterwards. I’d definitely think about getting the full sized version of this – such a good one! Next the body butter. The Body Shop are known for their body butters, they have such a variety. Its so moisturising (obviously) and feels so nice on the skin, and soaks in really quickly. Again my favourite thing about this, is the smell lingers. Overall, this is such a lovely set and if you’re thinking of Christmas presents for someone, this would be perfect! 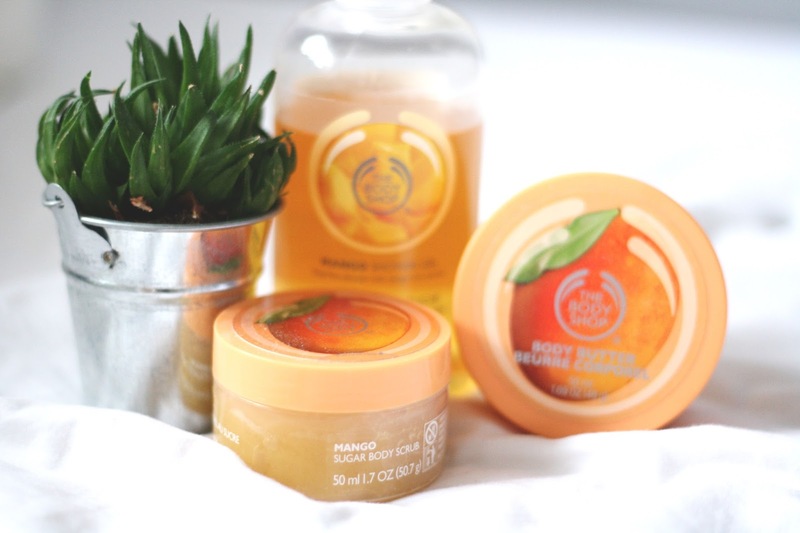 Have you ever tried the mango range from TBS?